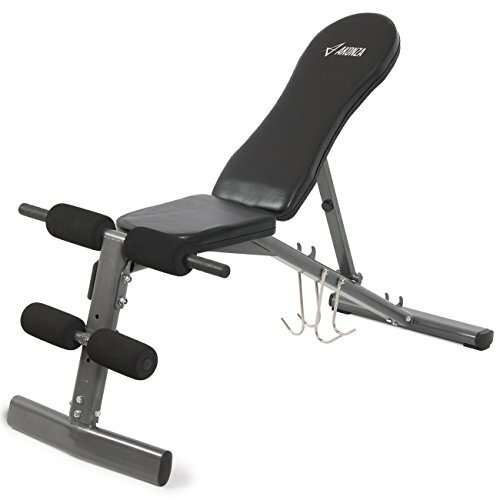 The adjustable weight bench gives you chiseled abs and powerful core. The user can easily target your upper body and lower body for fast, more defined results. This multi-position weight bench can be set at incline, decline, or flat positions. Simply adjust the bench to incline, decline, or flat for specific exercises. The 4-roll leg lockdown help you to work out your abs obliques, and hip flexors to get a tight and perfect body structure. Back Adjustable Height: 20-1/2", 36", 44"